Everyone loves their pets, and you are just as much of a dog lover as any other pet owner, but you don't want your dog under your feet every day, tripping you and endangering himself. Sometimes, too, cleaning up after your pet can get annoying, especially if he tends to shed a great deal of hair. 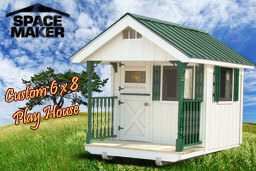 One of our custom designs, such as a minibarn, could make the perfect dog house for your pet. 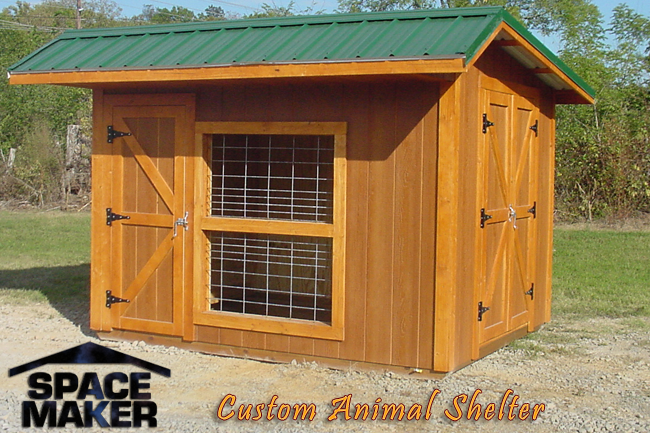 All of our portable buildings contain insulated roof decking and thick wooden doors, making them perfect little homes for your best friend. 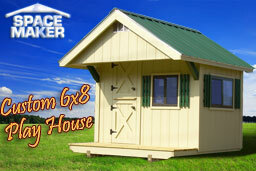 Use this building separately like a standard dog house, or create it as an extension to your home, like many of the portable home addons we offer. Either way, you can give your dog a space to play, sleep, and ultimately have to himself so that you don't have to worry about mess or damage to the furniture, and you no longer have a hazardous situation with the dog under foot. 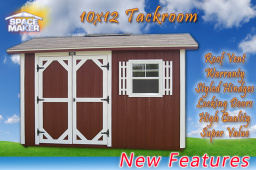 Set up as a minibarn, you'll be happy with the capability of adding windows and shutters to your specifications, and you can create a design that incorporates the standard set of double doors or two entrances to the building. 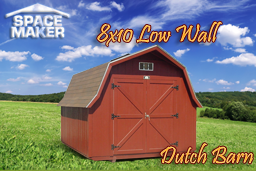 Because you'll be investing in one of our portable buildings, it can remain with you should you move to a new location, and you can also move it around within your yard if you need to make more room for other items. As far as portable home addons are concerned, you can simply attach it to your home, create an opening or doorway within the home that directly opens to the building, and treat it as a connected room to your house. Should you decide to detach it at any time, you merely need a door for your home to seal the entrance and the double doors that will attach to the opening on the portable. However you choose to configure the design, our custom building team will help you to create and erect the perfect dog house from our line of custom buildings, meeting your requirements to make your pets comfortable and keep them safe.